“No Mercy” from BeanLeafPress is a fresh take on the classic card game “War.” I ran into the game’s creator and artist Travis Hanson at Phoenix Fanfest 2016 and he kindly provided a copy for review. And occasionally, the do something so vile, so evil that you would rather accept defeat than use the card. 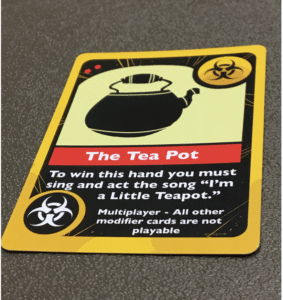 Behold the nastiest thing ever deployed on a game table. I played with Werlen and we both took a turn losing rather than sing. That said, the game is a lot of fun to play and the leader position switches back and forth even more frequently than a regular game of “War” with the modifier cards. In fact, I eventually won due to some luck on the draw that involved swapping decks. The game art deserves a separate mention. 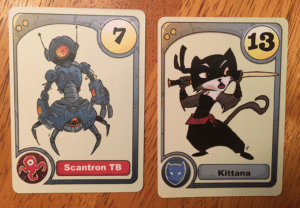 Rather than a standard deck, the cards are themed with Cats and Aliens. 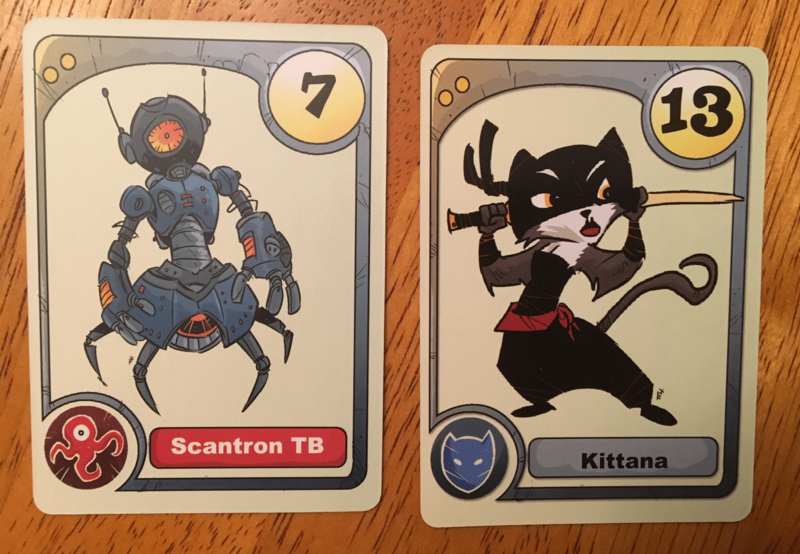 Here are a couple of my favorites, even with the awful pun on the cat card. Every time “Scantron” popped up I felt the urge to color in small bubbles with a number 2 pencil…. 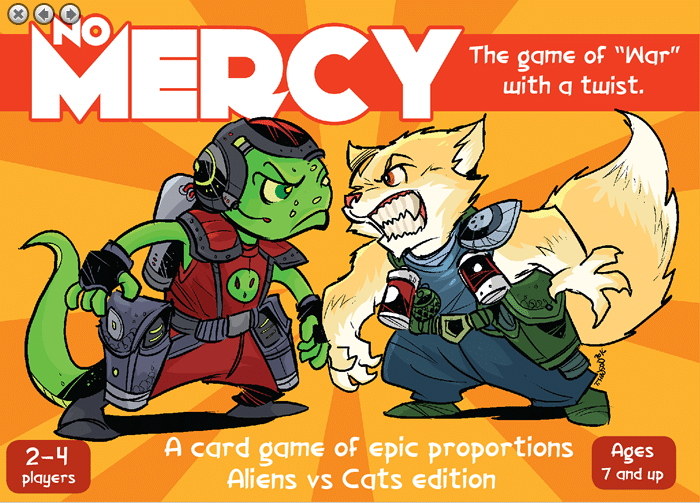 The bottom line is “No Mercy” is a fun family game that deserves a look. Threshold: 10,000 Unique Visitors This Month! How Important to Hasbro is Wizards of the Coast? July 20, 2008 trask Comments Off on How Important to Hasbro is Wizards of the Coast?